So as our banka (boat) driver was drinking his own buko, we got to talking about the different kinds or ages of buko, we did a quick lesson for Ara who knew minimal of the trees life. 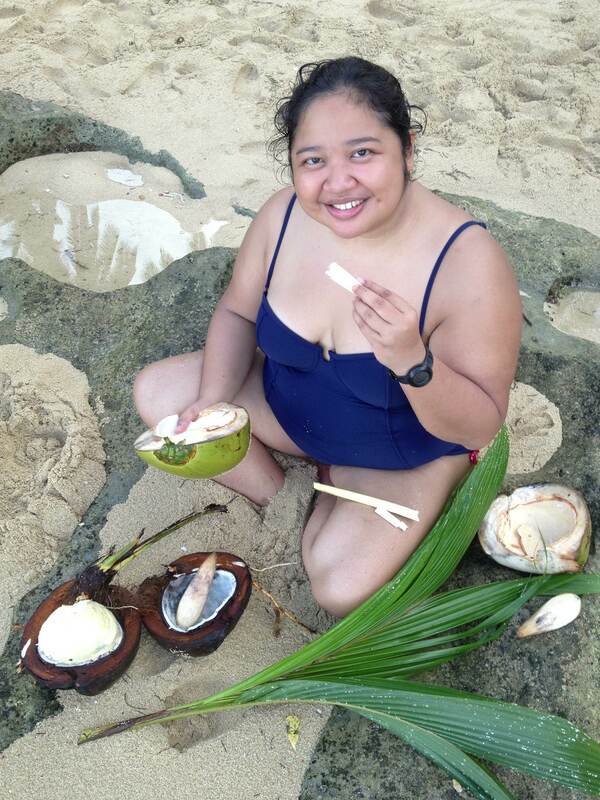 So it starts out with the young coconut wherein the meat and juice you drink, which we call buko. Then it matures to a niyog, where the meat is hard that it has to be grated (and squeezed for milk) or cooked (like in bukayo, a sweetened coconut dessert). If it still survives being picked at this time, it grows older and starts growing a root (or tumbong). The inside fills up with some meat, taking the water with it. This tumbong is also edible, yummy for me actually. Quite crunchy, and watery, with a hint of the coconut flavor. This grows leaves, roots, and takes hold and grows into a towering tree. And the cycle begins. Because of this conversation, our banka driver then goes inside the resort in hunt for more coconuts apparently, in all of its stages. 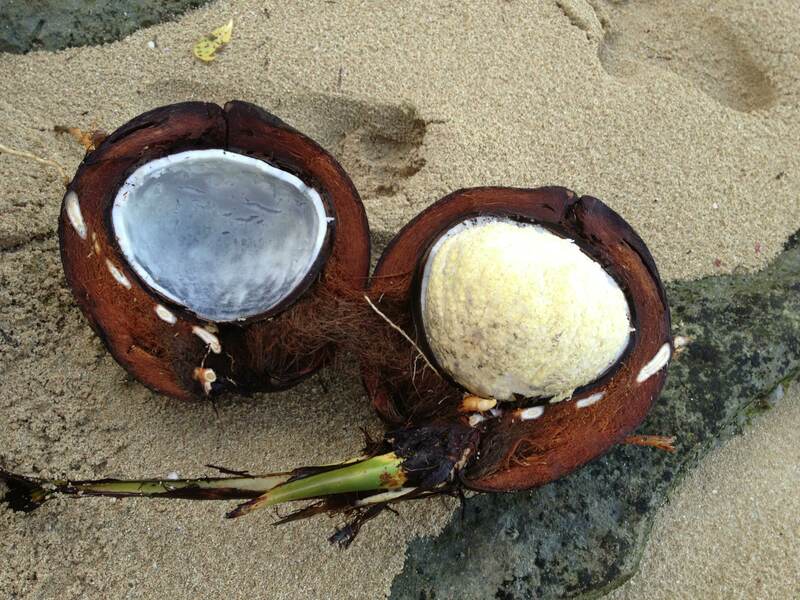 And I end up with three coconuts, all for eating. I was happily sunning, eating my coconuts, washing the sand off with some water stuck in a sand recess until I grew too full to eat anymore.